When it Comes to Residential or Commercial Fencing. One of the many specialty services you can expect from Biancar Fence of Bridgeport, CT is custom designed fence layouts for your property. Biancar has installed numerous fence jobs over the years and has tons of experience with coming up with the best layout choices for your particular property. Utilizing high quality fence materials including Illusions Vinyl Fence, Grand Illusions Vinyl WoodBond wood grain PVC vinyl fence, Grand Illusions Color Spectrum matte finish color PVC vinyl fence, Eastern Ornamental (Aluminum) Fence, Eastern White Cedar Brand wood fence products, and Eastern Chain Link Fence, Baincar Fence has raised the industry’s bar with their superior work ethic, fair pricing, diverse services, and successful execution of fence projects throughout the last 16 years. The owner, Carlos Diaz, has diverse experience within the fencing sector. Carlos is on every job with his dynamic team. This way, he can insure that all of his clients’ needs are meet in a timely manner. Not only does he take pride in the work of his company, he takes pride in his community as well. That is reciprocated by the amount of return customers and referrals he gets from his established clientele. Many of his referrals are for his client’s personal businesses, their neighbors, friends, and families. Referrals are not just given they are earned. 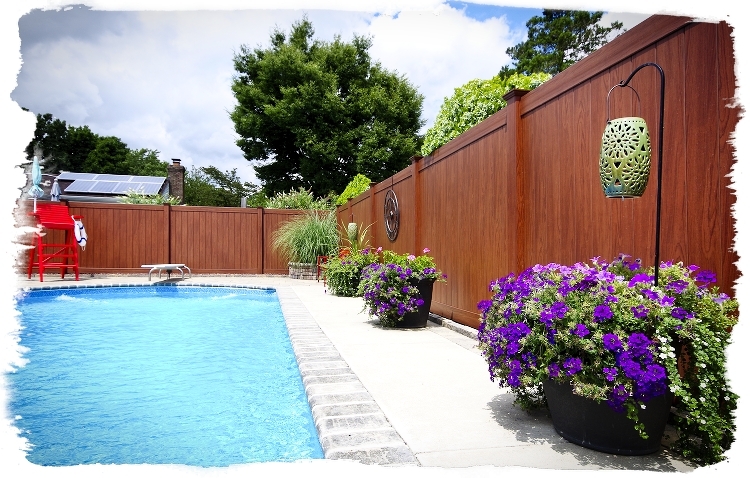 It is safe to say that many Connecticut residents are fortunate to see, in-person, Biancar Fence's workmanship on display throughout the various Connecticut neighborhoods Biancar services.